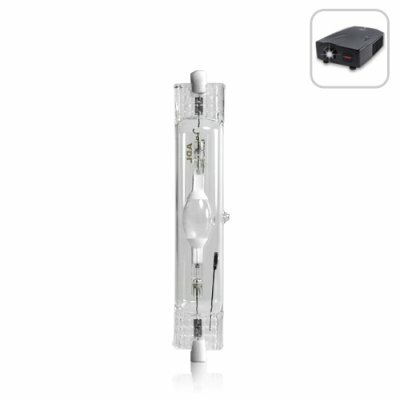 Successfully Added 150W Projector Bulb (Compact Tubular MH) to your Shopping Cart. New 150 watt MH projector bulb for models CVAZ-E74 and CVAZ-E75 Multimedia Projectors. Projector picture growing dim? No picture at all? Or just buying yourself a new multimedia projector and want to order a spare bulb? Well, get the vibrant picture you deserve with this OEM projector bulb for Chinavasion's 5 inch LCD range of wholesale projectors. Get an extra bulb now and give yourself the piece of mind that comes from knowing that you always have a new bulb ready for action!